If you’re a fan of the 3DS, then brace yourself because this week’s Nintendo Download Europe is huge for the handheld system. We’ll start with the release of none other than two of the most anticipated releases Nintendo has to offer so far in 2015, The Legend of Zelda: Majora’s Mask 3D and Monster Hunter 4 Ultimate. 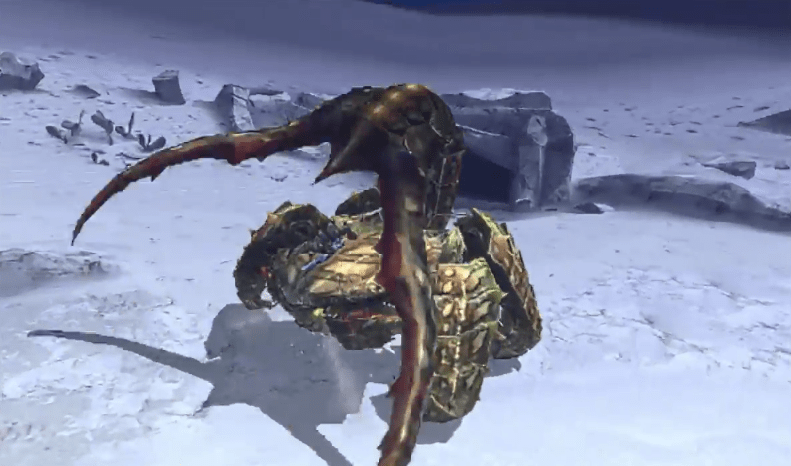 But that’s not all, IRONFALL Invasion is also being released this week. It’s free-to-play with downloadable Multiplayer and Campaign modes which can be purchased separately, or as a bundle. If anime happens to be your thing, you can download the new Nintendo Anime Channel for free. And you can do all this on your brand-new New 3DS, which launches this week as well. 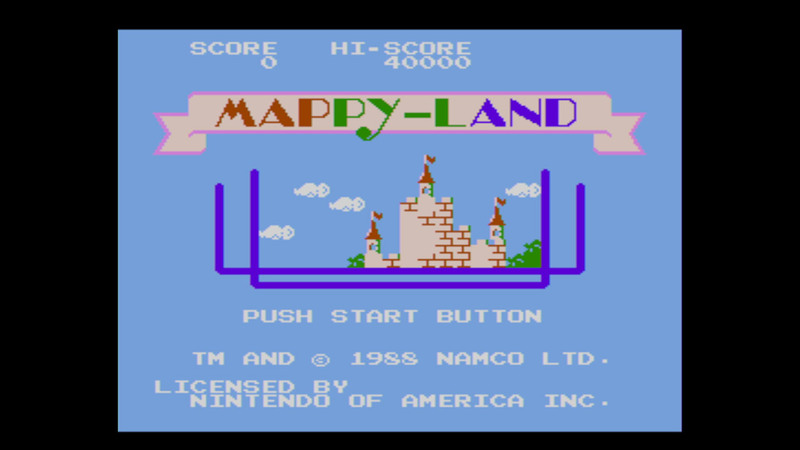 As for the Wii U, the NES games Mappy-Land and Master Blaster arrive on the Virtual Console. There are also a bunch of new 3DS themes and sales to check out. For the full list of releases, sales and whatnot, see below. Everything happens on February 12th, unless otherwise noted. All descriptions come directly from the press release. Blek is available for €5.49 / £4.49 / CHF5.99. 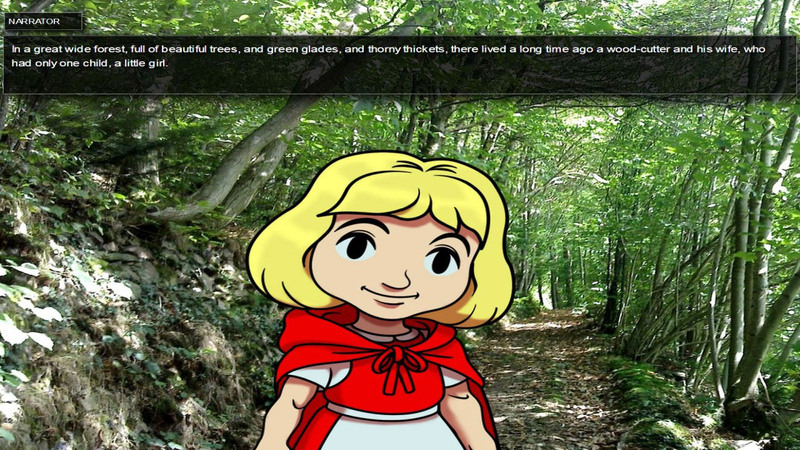 Red Riding Hood is available for €0.90 / £0.66 / CHF1.00. “Blaster Master tells the story of Jason, an ordinary boy who becomes an extraordinary warrior on a quest to save the Earth. 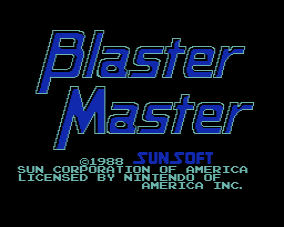 One of the most innovative games of the NES era, Blaster Master combines side-scrolling and top-down perspective sections, as Jason battles radioactive monsters both on foot and behind the wheel of Sophia The 3rd, a heavily-armed multi-purpose vehicle. Battle through eight huge areas, upgrade Sophia’s arsenal to hover or drive up walls and rid the planet of the mutant menace! Blaster Master is available for €4.99 / £3.49 / CHF7.00. “It’s a cat-and-mouse game like no other as you take control of Mappy, a brave police-mouse, in this arcade classic! A gang of thieving cats have stolen treasures from all over the city and brought them back to their mansion! Your job is to infiltrate their mansion and negotiate traps, trampolines and dead ends to find all of the treasures and bring them back to their rightful owners. But watch out! Goro and his hench-cats are stalking the mansion and if they find you, you’re finished! Mappy-Land is available for €4.99 / £3.49 / CHF7.00. 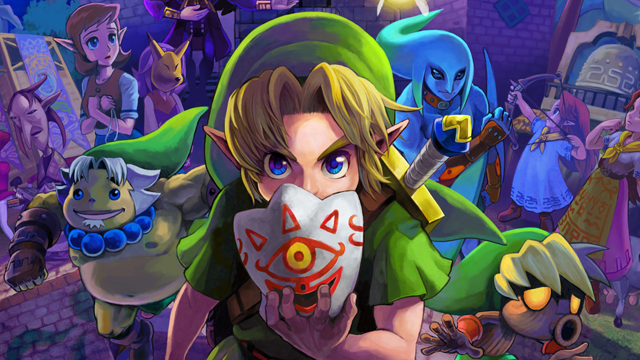 The Legend of Zelda: Majora’s Mask 3D will be available on February 13th for €44.99 / £39.99 / CHF57.90. It is also available at retail. Buying the game from the eShop gives you a free download code for The Legend of Zelda: Majora’s Mask: Dire Moon 3DS Theme. Offer valid until March 12th. Monster Hunter 4 Ultimate will be available on February 13th for €44.99 / £39.99 / CHF57.90. It is also available at retail. Buying the game from the eShop gives you a free download code for Monster Hunter 4 Ultimate: Gore Magala & Seregios 3DS Theme. Offer valid until March 15th. IRONFALL Invasion will be available as a free download on February 13th. There are two download packs available IRONFALL Invasion: Campaign and IRONFALL Invasion: Multiplayer, which can be purchased for €9.99 / £8.99 / CHF 14.00 each, or together as a bundle for €19.98 / £17.98 / CHF 28.00 at the in-game shop. Their descriptions are below. ACE COMBAT™ ASSAULT HORIZON LEGACY + is available for €39.99 / £29.99 / CHF44.90. It is also available at retail. 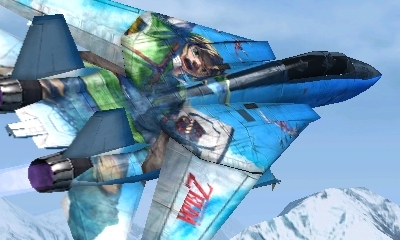 Buying the game from the eShop gives you free download codes for all three ACE COMBAT™ ASSAULT HORIZON LEGACY + 3DS Themes. Offer valid until March 12th. Dedede’s Drum Dash Deluxe is available for €6.99 / £6.29 / CHF9.80. Kirby Fighters Deluxe is available for €6.99 / £6.29 / CHF9.80. Nintendo Anime Channel will be available for free on February 13th. Undead Storm Nightmare is available for €4.99 / £3.49 / CHF7.00. A free demo is also available. 3D Fantasy Zone is available for €4.99 / £3.49 / CHF7.00. Best of Arcade Games – Air Hockey is available for €9.99 / £8.99 / CHF14.00. Best of Board Games – Chess is available for €9.99 / £8.99 / CHF14.00. Space Lift Danger Panic! is available for €2.49 / £1.99 / CHF2.99. The Ace Combat Assault Horizon Legacy + themes are available for €0.99 / £0.79 / CHF1.20 starting February 13th. The Monster Hunter 4 Ultimate and Majora’s Mask themes are available for €1.99 / £1.79 / CHF2.80 starting on February 13th. The Basic and Simple Colour Set themes are free to download starting February 13th. 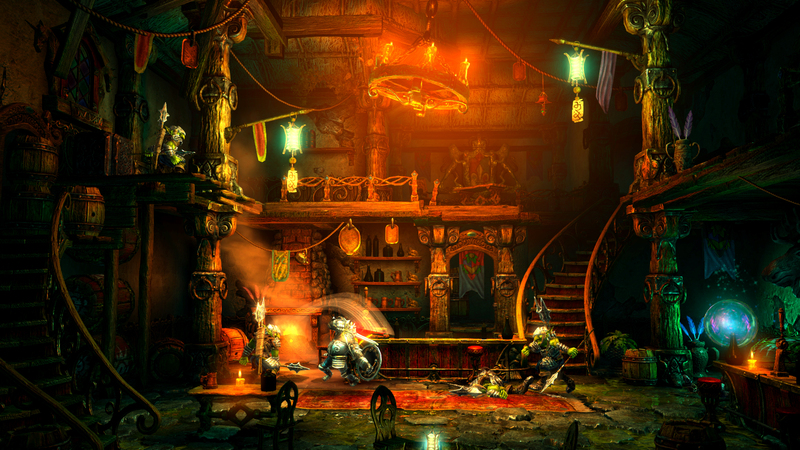 Trine 2: Director’s Cut €16.99 / £13.99 / CHF19.99 €8.49 / £6.99 / CHF9.99 Sale ends March 12th. Spy Chameleon €4.99 / £4.49 / CHF7.00 €3.99 / £3.59 / CHF5.60 Sale ends March 5th. Spin the Bottle: Bumpie’s Party €8.99 / £8.00 / CHF11.00 €3.99 / £3.99 / CHF4.99 Sale ends February 26th. Knytt Underground™ €8.99 / £7.99 / CHF13.00 €3.99 / £3.99 / CHF6.00 Sale ends February 26th. Sweet Memories Blackjack €3.99 / £3.59 / CHF5.60 €2.99 / £2.69 / CHF4.20 Sale ends February 26th. Brunch Panic €3.99 / £3.35 / CHF4.90 €2.99 / £2.69 / CHF4.20 Sale ends February 26th.